Features (e.g. 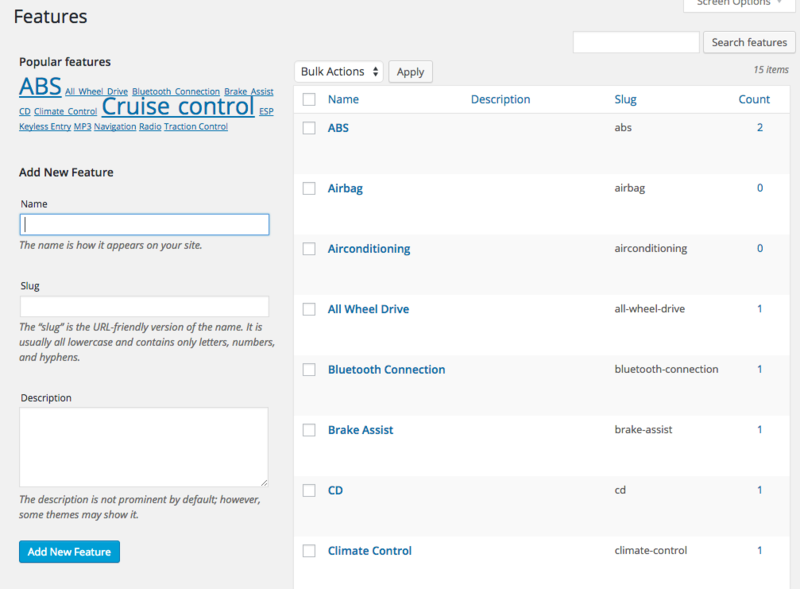 ABS or Bluetooth) can be added to cars when adding/editing a car but can also managed at the Features page. The features page can be found as a submenu item of Car Manager. Features that are added to cars will be displayed in a nice list on the car’s detail page. In the future, features can be used to narrow down car searches.